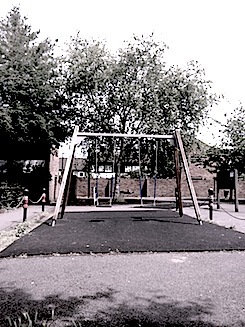 Playground she went to with Jim when they investigated that murder in Alfred Place. Swings, slide, climbing frame – all massive. Kids clustered around the benches, passing a bottle around. Card them? But I’m a DCI. And they are so big. Smash goes the bottle. Broken glass everywhere. Hazard for little children – ones her size. Her sister’s always going on about how they should keep teenagers and drunks out of children’s playing areas at night. As if they didn’t have real work to do after dark. Intervene! Make them clean up! Seven kids, the smallest twice her size. Atmospheric, Sonya- filled with threat. Threat for a little girl, threat from the big kids smashing bottles. And what about the murder investigation? Everywhere, danger. Intriguing stuff. How nice it was lovely – all the ones I’ve had so far have been stock. ‘ We’re so sorry you weren’t successful this time …’ Was it a woman’s mag? That’s a market that seems tricky to get into. I’m trying to write a serial for a People’s Friend competition at the moment – not my usual style but actually really good fun 🙂 And I thought, at least if I get anywhere with them, P F publish A LOT of fiction. Will see if I can get it up to scratch in time. Nope, it was for a literary magazine. Apparently, my story split opinions – half of them loved it, the other half hated it. But I guess that’s better than a collective shrug. I’ve failed utterly every time I’ve sent stuff to publications or comps with a literary betm – I just don’t seem to be on the right wave length, some how. I think I’m too mainstream, too predictable with my plotting.